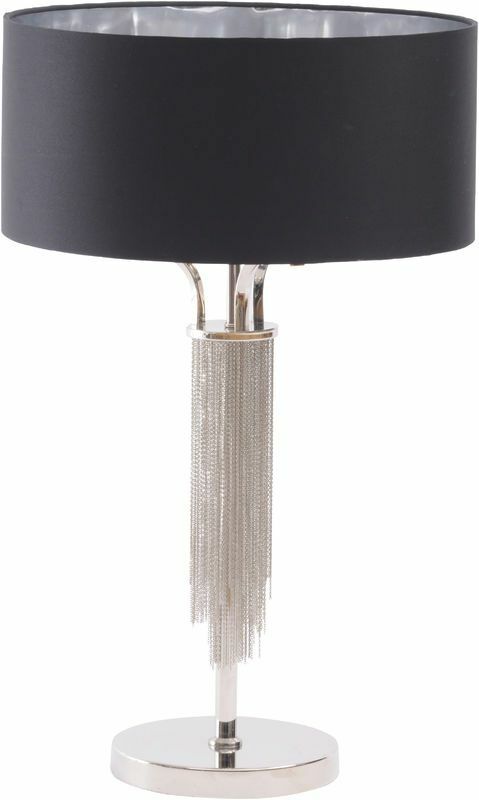 The Langan Table Lamp In Nickel With Black Shade is such a chic piece. From the outset, this lamp looks simply deisgned. The chain skirt however, adds a subtle element of glamour. 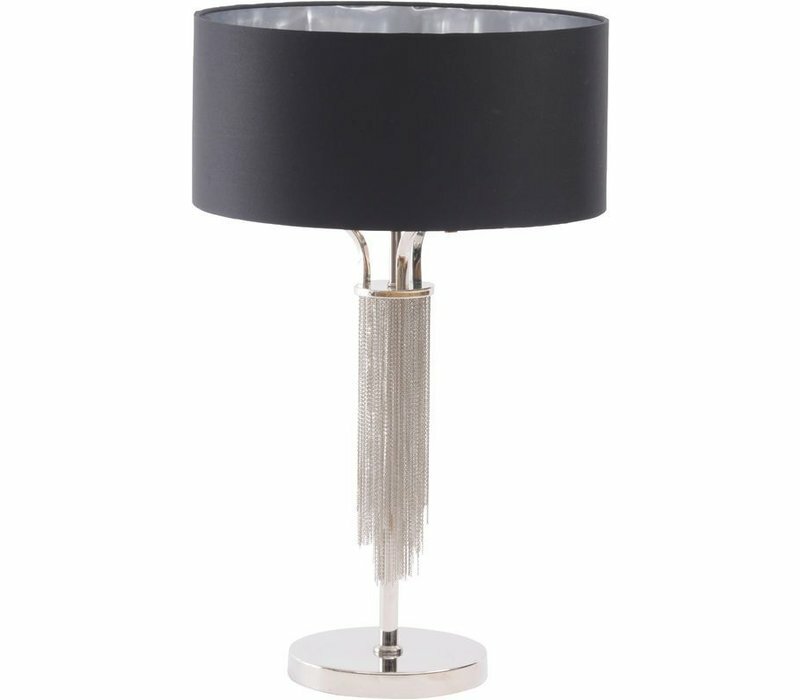 Matching floor lamp also available. 65cm x 40cm.